Staying healthy does not require any drastic measures or huge changes in your lifestyle. If you want to improve or maintain your health, it just requires small changes. These changes are adding more exercise to your lifestyle and choosing healthier food each time you eat. By doing these two things, it is possible for you to not only to maintain your health but to also maintain your youth, independence, and ability to live life the way you want. Sunshine Home Health Aide Org., Inc. is a home care company in La Mesa, California that is dedicated to providing you with the helping hand you need in order to live a healthier lifestyle. We can offer assistance around the home, we can provide you with compassionate and respectful personal care, and we can help make life more convenient for you. With our services, you will have more time and energy to not only focus on what you want but to also focus on improving your health. 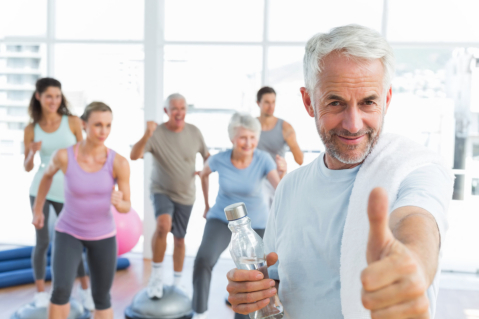 You are not getting any younger and this can become quite obvious when you first start trying to exercise. If you want to be successful, then you need to start small and with the basics. You will want to start out with something such as walking. This will slowly build up your strength and allow you to do more effective exercises. It is important to exercise because this can improve your strength, increase your energy, and even help you feel happier. Besides exercising, you will need to change your diet and eat healthier alternatives. After all, you are going to be fighting an uphill battle every time you exercise if you are not eating the right foods. Our food has an impact on every aspect of our health, so if you want to stay healthy, it is critical to provide our bodies with the proper nutrition it needs on a daily basis. Even as we become older and enter our golden years, we can still hold on to our youth by following a healthier lifestyle at home. If you want to find out more about staying healthy and maintain your independence or about the personalized in-home care services we are currently offering, please feel free to visit our website www.sunshinehomehealthaide.com today.